These are beautiful frames! Perfect for Victorian style art prints. These are also a lot lighter in weight than they look - I was able to hang the 8 by 10 size securely with a medium sized Command hook. They arrived quickly and well wrapped. The frame arrived quickly and the packaging was phenomenal. The quality is wonderful and it looks heavy but is actually light weight. Customer Service was extremely responsive and answered my questions/issues immediately. I will definitely order from Picture Frame again. I love this frame. 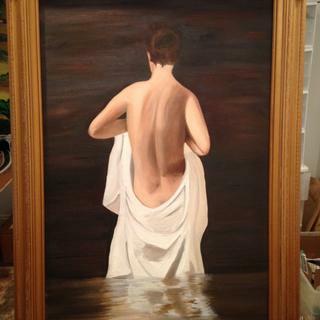 I copied this oil painting from the original artist, Joshua LaRock. I am pleased with the outward appearance of the frame that I purchased, however, I purchase a fair number of frames and was disappointed that for what I paid, the frame is very light weight and was stamped Made in Mexico. Nothing against our neighbors to the south, but the quality of the frame is not worth what I paid, especially the cost for shipping. I've purchased museum quality frames from other sellers for half what I paid for this frame. 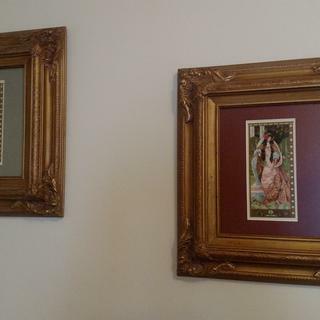 But in all honesty, I was only able to locate this particular style frame from PictureFrames.com, and I will purchase from them again if I am not able to locate the style of frame I am needing, on another sellers site. Service was very good and shipping was prompt. Hello Scott! Thank you for your review. We regret that you were not entirely pleased with the order. Most of our frames are made in the USA and our intentions are to provide the best quality. We are more than happy to email you a prepaid UPS Label if you would like to return the order. We certainly do not want you to keep the frame if you are not %100 satisfied. Please give us a call and let us know how we can make this right with you. Thank you again for your business! Exactly what I want for my paintings. Good quality pieces, highly recommend. I wonder why they call it gold. I regret buying it! Hello Jaiby, thank you for your review. We understand that the warm gold look is not for everyone. We do offer a 45-day return policy and samples that you may order before placing your frame order to ensure the frame is perfect for what you need. Our customer care team can assist you with both at 1-800-332-8884. They are available Monday-Friday 8am-7pm eastern time. Thank you again! price and look. Compliments painting and corners have a custom look. Is this just a wall hanging frame or can it stand alone on a piece of furniture? BEST ANSWER: Hello Amy! 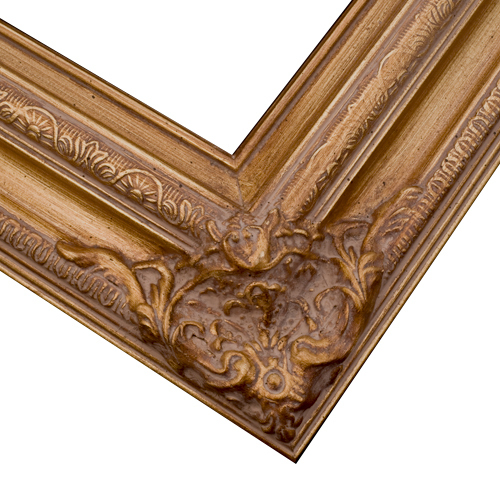 This exquisite frame is designed to hang on the wall. Please enter 'tabletop frames' in the search box to find our frames with easel backs that can be displayed on a table top or furniture. Thank you! I need frames for pictures measuring 15 x 18. Can I get this frame in this custom size? BEST ANSWER: Hello! 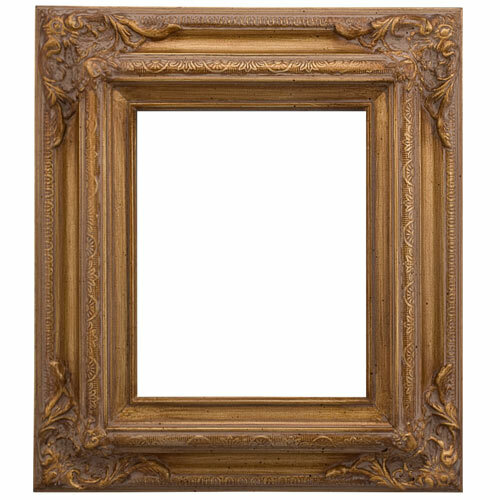 This frame is available in size 15"x18". Thank you for your inquiry!